Like humans, horses have a “thermoneutral zone” (TNZ) – an optimal range of temperatures within which they can comfortably maintain their own body temperature. For adult horses in mild climates, this is between 5 – 25 degrees C. Humans, on the other hand, have a more limited TNZ of between 25 – 30 degrees C when naked. This means when humans feel cold, horses are still well within their comfortable zone. 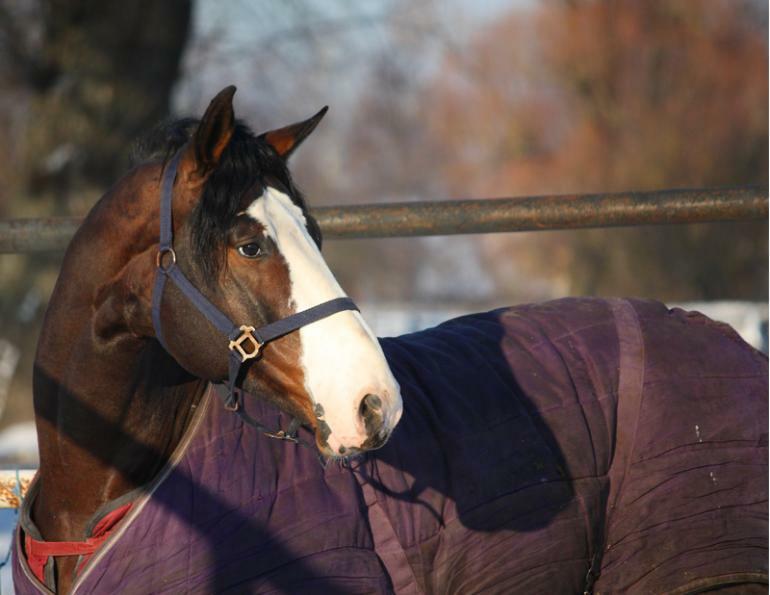 Humans often make decisions about rugging their horses based on whether they feel cold themselves, so they may well be using a rug on their horse when it really is not necessary. “Although this study found sweet itch rugs had no impact on thermoregulation, I feel further research with a larger number of horses, in hotter weather conditions, with a mix of dark and light coloured sweet itch rugs, is required before we can be certain there are no negative impacts on equine welfare.